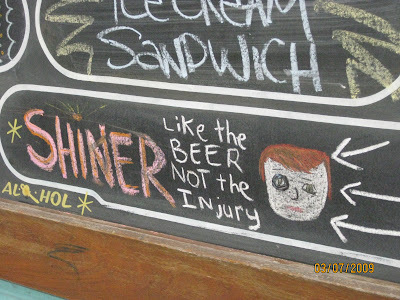 Our second day in Austin we found our bearings. 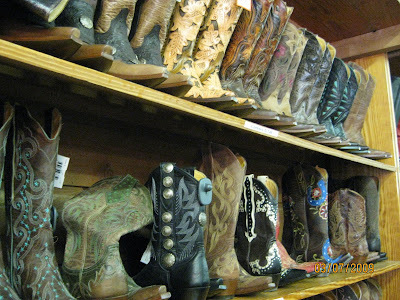 If we’d done our research properly, we probably would have made a beeline to this funky and happening area. But the delay only amped our appreciation. 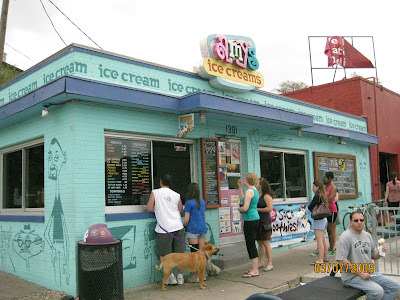 For anyone who knows Austin, you’ve probably already guessed that I’m talking about historic South Congress (“SoCo”). Dilapidated and seedy not so long ago, SoCo has been revitalized and reborn. 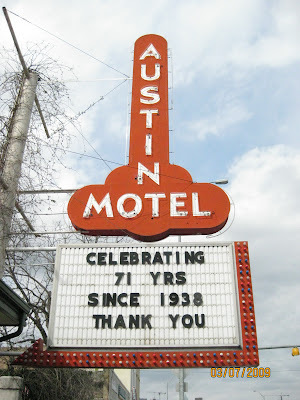 It’s now home to the most popular South by Southwest “musician’s hotel,” the Hotel San Jose, the longtime holdout Austin Motel, several carefully curated thrift stores, the Allens Boots megastore, numerous cafes and, of course, the legendary music venue, The Continental Club, which has seen SoCo through good, bad and back. 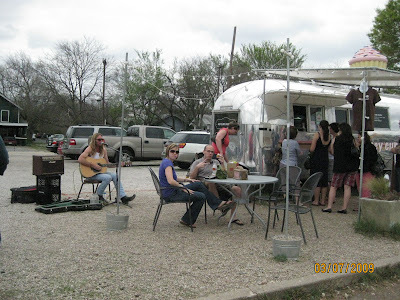 If you need any further evidence that you’re in the hippest part of town, just walk past Hey Cupcake, which sells cupcakes out of a Airstream trailer accompanied by live music (see photo below). After a nap, we set out again to grab some (more) comfort food and hear some live music. 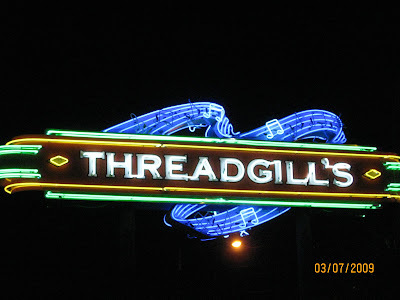 Our greatest hits tour took us first to Threadgills, a local institution for 76 years, and also where local "Roots & Rock" star James McMurty was performing that night. 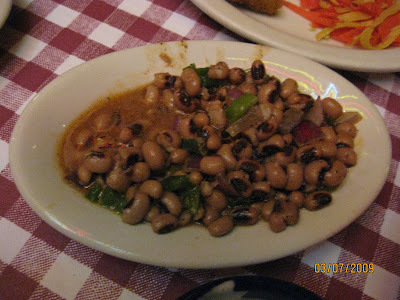 Unfortunately, our grubbing on fried pickles, meatloaf, mac ‘n cheese, “Texas black-eyed pea caviar” (pictured below) and more in the restaurant adjacent to the outdoor stage ran a little long. When we emerged, there were no seats left, and our nascent food coma was making standing seem out of the question. So we headed back over to The Continental Club, where we were early enough to score table seats and hear some jazz. That night, we slept extra hard thanks to the turbocharged air conditioning in our room. (We never did figure out how to turn it down, a sign that such as desire was clearly abnormal in these sweltering parts.) We awoke refreshed, and the sun, which had hidden a bit the day before, was out in full force. The obvious thing to do was to go biking. I mean, we were in Lance Armstrong’s hometown after all. But first we needed to fuel up, and we hadn't had a nibble of Mexican food yet. We made our way to the famed technicolor shack that is Taco Xpress. 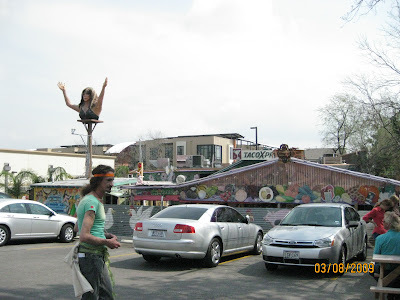 You can't miss it thanks to the huge, wacky and welcoming bust of owner Maria Corbalan out front (see photo below). 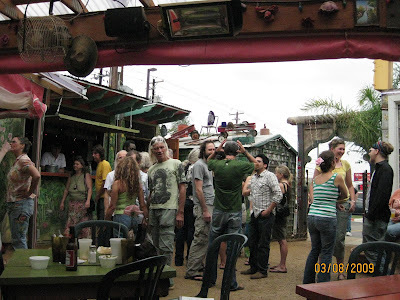 We arrived at the tail end of “Hippie Sunday Church.” I’d read something about it a while ago, but I don’t think anyone can fully appreciate it until you’ve experienced it. We’re talking about some serious rocking out. 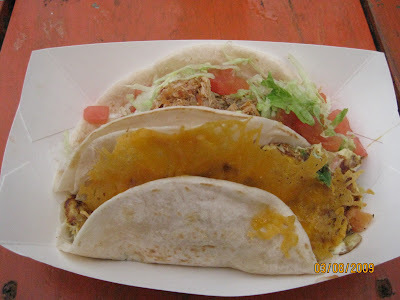 Young and old, boho and yuppie, everyone was on their feet, dancing, shouting and clapping (with greasy hands from eating tacos, of course) with a true religious fervor. The lead singer of the band was absolutely going for broke, whipping her head to the point that I was concerned for her spinal column. It was perhaps the moment where I really got Austin. This place lives for A) music and B) brunch, and when you combine the two, well, prepare for nirvana. 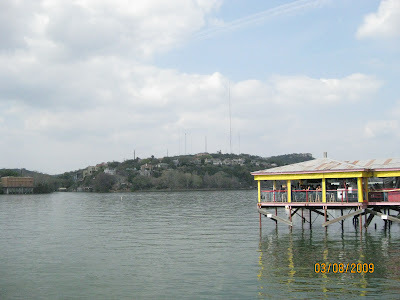 Still decompressing from that raucous scene (above is the beer line afterwards), we rented bikes at one of the nicest bike shops I’ve ever been in and pedaled the short distance to Town Lake (renamed Lady Bird Lake in 2007, but no one seems to call it that). And yes, it’s exactly what it sounds like. A lovely lake (formed by damming the Colorado River) right in the middle of town, with big corporate offices just a block away in some cases, but with the added amenity of 10 miles of interconnected trails around the perimeter. Everyone, their brother and their brother’s dog was out walking, jogging or biking.